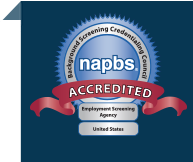 When it comes to screening potential or current employees, it may be tempting to rely on quick and inexpensive national criminal background checks. Since national records can be gathered with an instant database search, the checks are quick and inexpensive and therefore easy to consider as done. But is a national search enough? Will it provide the information you need to make a wise hiring decision? How should national criminal records be used by employers? Before we answer these questions, you should know that the most accurate information will always come directly from the source, which in most criminal records is at the county-level courts. That said, with more than 3,000 jurisdictions in the U.S. you clearly would not want to incur the time and expense of searching each and every jurisdiction for each candidate or employee. This is where a national criminal records search comes in. But before you get too excited, it’s important to understand the limitations and best practices of using national criminal background checks. As mentioned, searching records at the source of each jurisdiction in the U.S. to clear a single employee for hire would be ridiculous in most cases. With national criminal background checks, on the other hand, you can cover a large majority of those jurisdictions with a single database search. Did you catch what we just said? You can cover a large majority (NOT all) of those jurisdictions. In fact some states have ZERO court information in any of the databases and many of the records are limited in the usefulness of what they report. This is obviously the big limitation with a national records search. It does not include every jurisdiction. Another limitation stems from the essence of what a national criminal check is: It’s a database search that relies on frequent updates and diligent stewardship of the people managing the database to ensure its accuracy. As such, even with the records it DOES contain, when using national criminal records you must realize that the accuracy will vary at any given moment. Think of a criminal database report like a credit report. There will be errors. Finally, database searches come with inherent limitations and restrictions surrounding how the data can be used in the employment decision-making process. If, as an employer, you knowingly rely on a database search as the end-all-be-all answer regarding an employee’s criminal history, you will not be standing on solid legal ground. This is a direct result of the limitations we’ve discussed so far. If relying on a national record search you may unknowingly make employment decisions based on inaccurate, incomplete or outdated information. 1. A national criminal records search covers most, but not all jurisdictions. 2. A national criminal background check relies on databases that may not be accurate, complete or up-to-date. 3. Employers face limitations on the use of national criminal records in the employment process. So Why Should Employers Use National Criminal Background Checks? By now you must be wondering why any employer would use a national criminal background check. Make no mistake, there is good reason! National criminal records searches are a highly useful tool to facilitate the criminal records screening process. These records are not background checks in and of themselves. In fact you should think of them as “quasi” national database searches, but they can offer valuable “pointers” to assist your background screening provider in knowing where to look next. Most criminal background checks start with a “quasi” national criminal records search (along with an address history check) to identify places where your applicant or employee would likely have a criminal record (if any). From these results, a detailed search of court records at the local level is used to verify and crosscheck the results of the national search. Only then can an employer consider what they may have found in a national database search to be accurate. Consider national criminal background checks as a “quasi” national, quick, and cost-effective first step in the criminal records search process rather than as the end-all be-all source of criminal data. Avoid any background screening provider that attempts to sell a national database search to your organization without the appropriate follow up at the local jurisdiction level to verify results. Need help? As a self-certified Concerned CRA, we follow best practices for the use of national criminal records. Learn more by viewing our national criminal records search service.